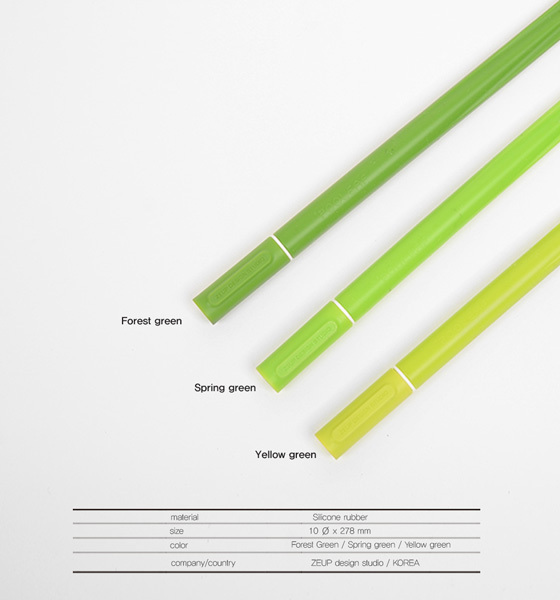 Comes with three colors: forest green, spring green, and yellow green, the nature inspired Pooleaf just like grasses get color changed while time goes by in nature. Consists of two parts: lid and pen. 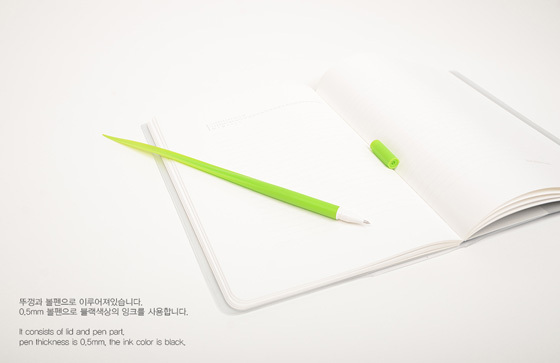 The pen part is made of silicone which is harmless to humans and easy to grip. 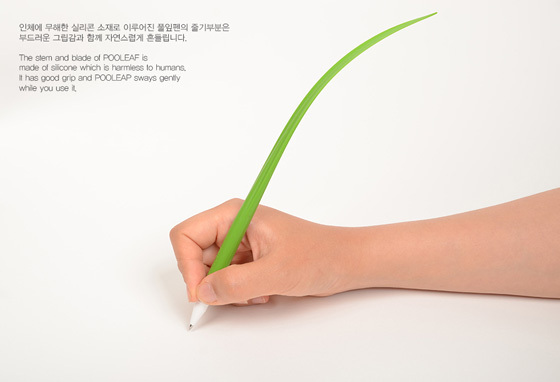 Since it is pretty thin – 0.5 mm, the pen part sways gently while you use it. Just like the grass dances in wind. 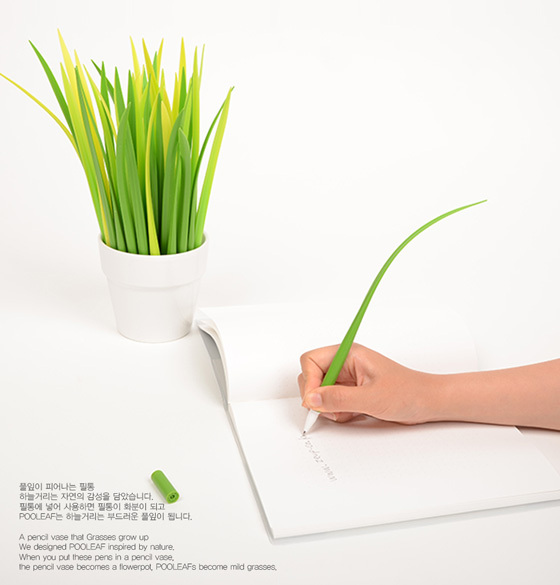 When you put those grass pen in the pencil vase, the pencil vase becomes a flowerpot and Pooleaf becomes mild grasses. Such an interesting design. 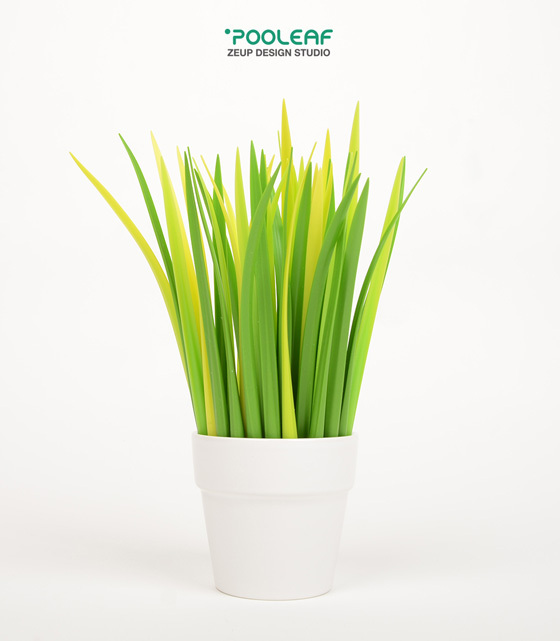 Now you have a bunch of pen and a pretty little gree pot on your desk.